On Saturday, July 15, CURE members Jim & LeeAnn VanDerPol of Pastures A Plenty and Marv & Judi Boike of Boike Farm are sponsoring a field day featuring their solar and wind installations. The event begins at 1:00 pm with a presentation by Solar Farm’s James Darabi at Pastures a Plenty (4077 and 4075 110th Ave NE, Kerkhoven MN). The field day will continue at Boike’s farm (2050 40th Ave SE, Maynard, MN) at 3:00 pm with refreshments and a presentation on wind. Pastures A Plenty is located at 4077 and 4075 110th Ave NE, Kerkhoven MN. This is 8.75 miles north of Clara City on Chippewa Co. #2 or 14 miles west of Willmar on highway 40 and then 1.3 miles south on Chippewa #2. 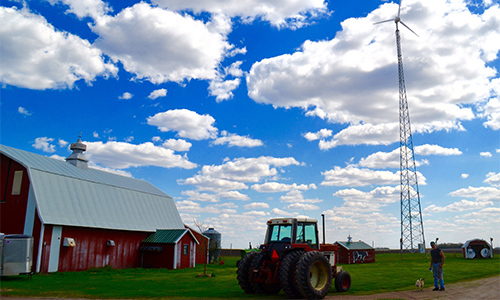 The Boike Farm is located at 2050 40th Ave SE, Maynard, MN. This is 2 miles due west of Gluek.